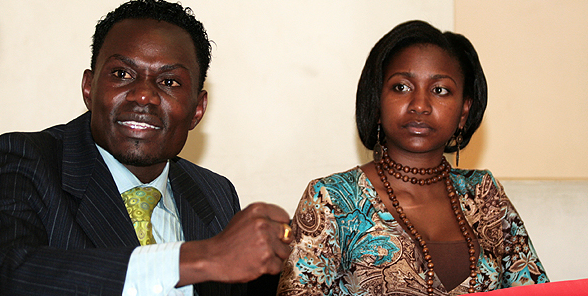 Despite the many times he has had to open up on his unforgettable experiences surrounding former TV girl Esther Arunga, Joseph still remains an enigma and the media still wants to know more about him. He recently spoke to The Nairobian and of the many questions he was asked was whether he fathered Esther Arunga’s late child. Rumour mills had it that the baby Timberlake is accused of murdering in Australia was yours. Is this true? Are you in touch with Esther Arunga or her family? Most recently, David Owako accused you of abducting his children. What transpired? “David Owako approached me claiming he was an ‘IDP.’ He was broke and he also claimed his wife had abandoned him with two kids. He requested we host his two kids over the August holidays last year, which we did. “When he failed to raise court fees, we helped him pay. We asked him to leave with his kids, but he abandoned them after staying with us for three days. We called the Karen children’s officers and reported him to Karen Police Station. He ignored our calls and we didn’t know where he was.